If you are drowning in debt and it seems like you can’t get ahead, bankruptcy may be a tempting option. But before you start down the path of bankruptcy, it is important to understand how bankruptcy harms your credit and the long-term ramifications. It takes a full decade to clean up your credit from a bankruptcy, if not more. Let’s take a look at how bankruptcy ruins your credit and how you may be able to avoid it. Bankruptcy is a court procedure for people and businesses who can’t repay their debts. Typically bankruptcy is a last resort for borrowers who have far more debt than they can repay. Bankruptcy can impact credit card debt, medical collections, and other amounts owed. 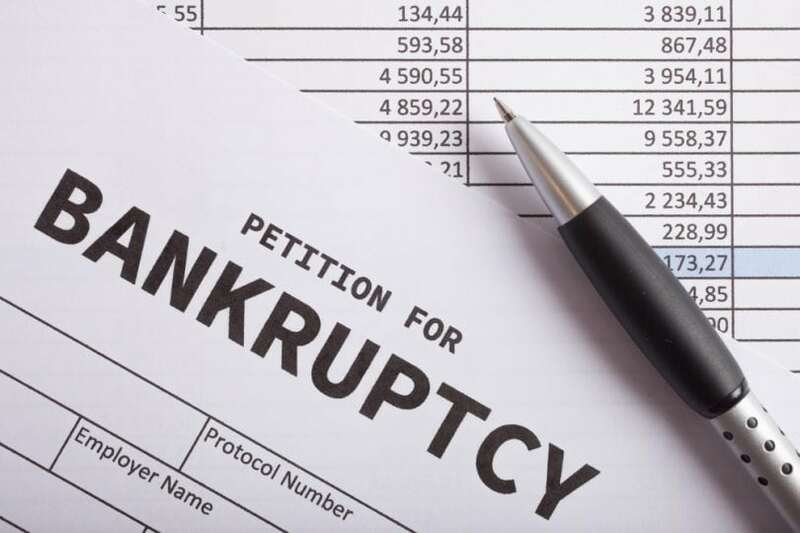 When someone files for bankruptcy, they typically need a lawyer (not inexpensive) to guide them through the slow bankruptcy and debt discharge process. But while bankruptcy may lower your debt load today, it has huge ramifications for your credit. It is also important to note that in nearly all cases, bankruptcy will not affect student loan balances. Bankruptcy will likely drop your credit score by at least 100 points, and it takes a full 10-years before a bankruptcy is removed from your credit report. This may prevent you from getting approved for new credit cards, mortgages, and other loans. And if you do get approved, you will likely pay a far higher interest rate than those who don’t have a bankruptcy on their credit report. A bankruptcy is a public record, a section on your credit report. In most cases, if you are facing bankruptcy your credit score has likely already taken a bit of a beating. But most negative on your credit report goes away in seven years outside of the dreaded bankruptcy. If turning your credit around is a top goal, bankruptcy is generally a bad option. You are much better off if you can resolve your debts with other means. If you do go the bankruptcy route, it is a long path to credit score and credit report recovery. If you already declared bankruptcy, rebuilding your credit is a slow but important process. The process of rebuilding your credit after bankruptcy typically takes ten years, but you can start with some steps to shore up your credit report with a positive account. In many cases, that means starting with a secured credit card to rebuild your credit score. Most important, always make 100% on-time payments going forward. If you want to rebuild your credit after bankruptcy, it is vital to follow credit best practices. That means never missing a due date, keeping your balance paid off, and avoiding the debts that led to bankruptcy in the first place. While you work to maintain perfect records for your new accounts, do your best to resolve your outstanding debts, collections, and other negative information on your credit report. Every little bit helps, but no matter what you do it is going to take quite a bit of patience as your score slowly climbs from bankruptcy to the 800+ club.